Horses found dead in Apache Sitgreaves National Forest. 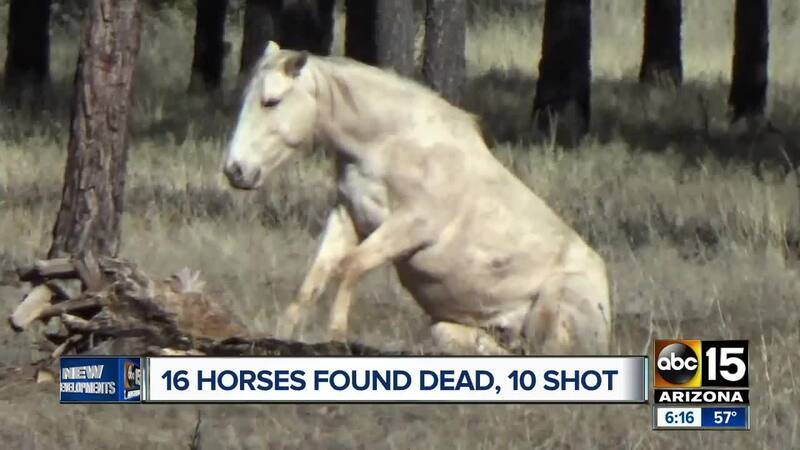 The forest service is working with the Navajo and Coconino county sheriff's offices on the investigation into the horses' deaths. Anyone with information is asked to call the Navajo County Sheriff's Office tipline, 1-800-78CRIME.